Your business’s office needs to be comfortable for your employees. They spend a large portion of their day at the office, and an uncomfortable space could affect their health and happiness. You need to keep them happy if you want them to be productive and do the best work they can. 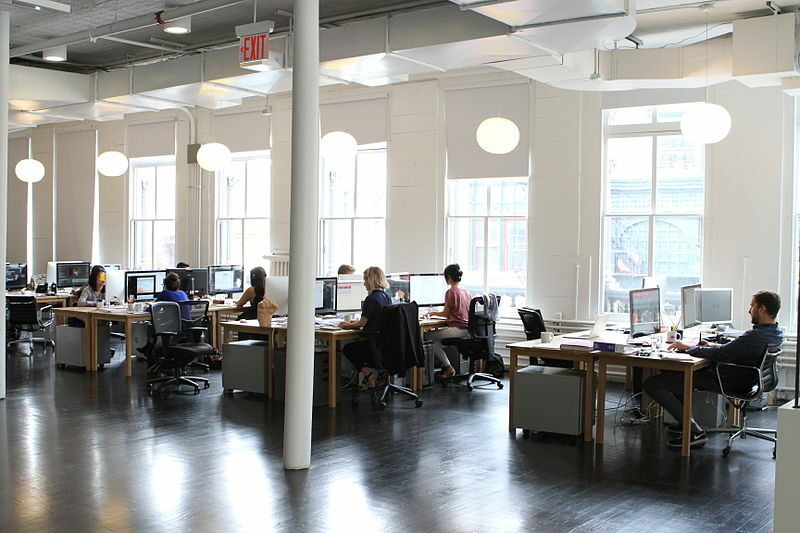 There are a few key issues you should think about when you design your office. The conditions of the environment, such as temperature and lighting, are important to pay attention to. You should think about these things in the design of your office and on a daily basis too. Most office workers spend a lot of time sitting down at desks, typing or perhaps talking on the phone. Spending all day sitting down can have negative effects on a person’s health, so you should think about how to help your employees be more comfortable. There are a few ways to approach the dilemma of sitting down all day. Firstly, you can ensure you provide comfortable chairs and that your employees know how to sit in them properly. You can also provide other equipment, such as wrist rests for people typing. Another option is to have standing desks or other areas where work can be carried out. Allowing breaks to stand and stretch is good too. You need light in your office so everyone can see what they’re doing. However, you don’t want to overwhelm everyone with harsh artificial light. Try to maximise natural light in your office if you can. However, even lighter offices will need some help from electric lighting, especially in the winter. You might choose to focus on having fewer large lights, such as an LED panel light, throughout the office. Or you could use smaller lights and scatter them more liberally. Think about the colour and brightness of the lights you choose to use. Some people like listening to music as they work. Others need to talk to each other to get their work done. But some employees need almost complete silence if they want to concentrate. Getting the noise levels right for everyone can be tough, and you might also have external noise to deal with. It’s a good idea to set reasonable standards for noise levels to encourage everyone to be considerate of others. You might allow people to use headphones to listen to music but expect them to keep the sound low. It can be hard to select the right temperature for an office. While some people might be comfortable, others might be too hot or too cold. There are a couple of ways you can help everyone to feel comfortable. One option during the winter is to offer personal heaters for those who feel the cold. You can do the same with fans if it’s warm. Another thing you can do is consider your dress code. Does it mean that some employees are going to feel the cold or heat more than others? A comfortable work environment is a more productive one. Try to make your employees more comfortable to improve their happiness and health.